Sarasota Elite is a full service pressure washing & sealing company, we specialize in brick pavers, pool cages, pool decks and homes. We service Sarasota, Bradenton & Venice areas. We specialize in cleaning and sealing concrete pavers on residential and commercial projects in Sarasota County. We work on both new paver installations as well as bringing new life to old pavers. Along with providing exterior and gutter cleaning. When you choose to work with us, you get the experience of a company that has applied hundreds of thousands of square feet of sealer to various paver driveways, patios, walkways, pool areas, courtyards, etc. The first step in any paver sealing project is to clean the surface of any stains, dirt, or debris that may be present. Our technicians use a professional pressure washing system. Power wash all paver areas to be sealed. Any oil spills or other heavy stains are chemically treated during the cleaning process. There are several benefits to sealing your concrete pavers. In addition to protecting the surface from stains, many sealers can dramatically improve the appearance of your home or business. A "wet" look or high-gloss sealer brings out the colors of each paver. For those individuals and companies desiring less of a visual impact there are "satin" and "natural" finishes that provide the same great protection while minimizing the change in appearance. APPEARANCE - Enhance the appearance of your hardscape... sealers are able to bring out and intensify the natural paver colors. MAINTENANCE - Create a surface that improves maintenance efforts by making it faster and easier to clean. PROTECTION - Sealed surfaces are more resistant to undesired stains such as oil, food/drink spills, etc. Some sealers also may protect against salts, acids, and other corrosive substances. 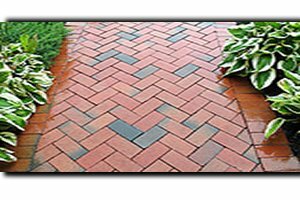 PRESERVATION - A UV-rated sealer will not yellow as it protects the paver colors from fading in the harmful Florida sunlight. STABILIZATION - Reinforce pavement integrity by stablizing joint sand which also deters weed growth and insect activity. VERSATILITY - The same sealer used on your pavers can be used on other areas in your hardscape including concrete, exposed aggregate, stone, etc. Have a question? Feel free to give us a call!